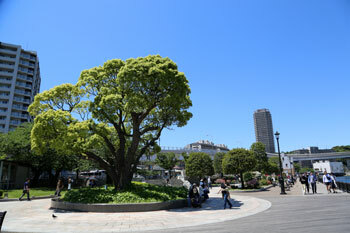 You can travel to Yokosuka from Tokyo-Station using two different train lines. "Yokosuka Line" or "Keikyu Line". If you own a Japan-Rail-Pass your only option will be "Yokosuka Line" because it belongs to JR. Also using this line you don't have to change trains. Just get in at Tokyo-Station and leave the train at Yokosuka station. Total time of travel is about 1h15m. If you targeting Dobuita street, I would recomend you not to take a bus or taxi, instead a walk thru "Verny Park", which you will find to your left after leaving the station. Here you can usually see some battleships of US Navy or submarines of JMSDF (Japan Maritime Self-Defence Forces) in harbor. You are almost there! On the other side of the road, continue walking to the same direction for another 100m then turn right in to the street where you can see the store "Fuji" Dobuita Fashion. You are standing on the Dobuita street now! 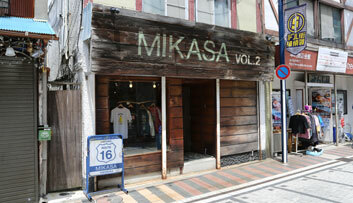 Although not all shops are located at Dobuita street. 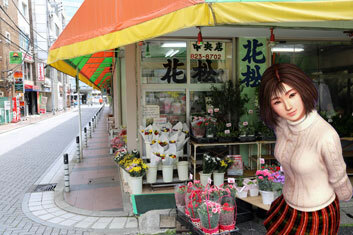 Fore example the flowershop from the game "Aida Florist" (in real Hanamatsu) is located two blocks away from Dobuita. If you intend to visit some of this places, you have to get the guide and do some homework in advance. For going to the harbor district, where the the warehouses are located, you even have to take a bus. But wait, this bus station looks also familiar to you? 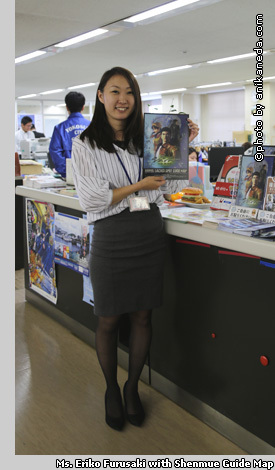 To get more "behind the scene" information and meet the co-creater in person, we went to Yokosuka's city hall, where Ms. Furusaki allow us to ask her some questions about the guide and the whole idea of creating this map, that would lead you to the places similar to them in the game. Q: Furusaki-san, thank you very much for your time, please introduce yourself and tell us what is your job at city hall? A: My name is Eriko Furusaki and I am working as a webdedigner for the department Culture, Sports and Tourism here in Yokosuka city. Q: Do you originally come from Yokosuka? A: No, I moved to Yokosuka about 10 years ago, after I got merried. Q: How come that you created a guide map related to a video game? A: I love video games, especially online PC games and Shenmue is not the first game related guide we created here in our department. I always wanted to do some video game related content. After talking with my supervisor and getting permission to do something it this direction, I worked on creating a spot map for a online game Pokemon GO or for example an advertisement for a online PC game World of Warships. To work on this projects we also had to work with companies who created this games. In case of Shenmue we colaborated with SEGA. Q: Who's idea was it to bring out this guide and how did you even found out about this "OLD" game? A: Yes, Shenmue is indeed not the newest, but a very iconic game that many retro-gamers still play today. Personaly I played Shenmue long before I started to work at city hall. 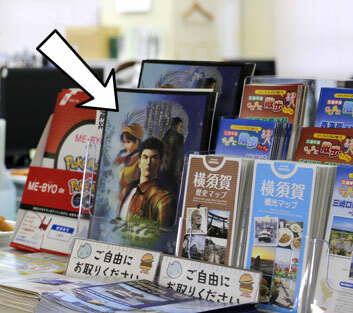 The mayor of Yokosuka City is also a big fan of Shenmue. One day I talked to him about Shenmue and we really wanted to bring out something related to this game. After all, the story of Shenmue started here in Yokosuka. "Let's do it!" we said. Q: How many people worked on this guide or did you worked on this project alone? A: Two people worked on this project. Me and our DTP artist, who did all layouts. Q: So did you shoot all the photos in Dobuita by yourself? A: We did it together. Actualy we had to shoot a lot of photos. It was challenging to match the photos to the screenshots from the game. Our DTP artist often said, "No, that's does not match! We should take a shot from another angle!" *laugh* We also got some images from SEGA, but the screenshots from the game and photos of Yokosuka we had to made by our self. Q: To get all information you needed, how long did you have to play Shenmue? A: Just to get all screenshots we needed, we played it for about more then one month. Q: Could you recognize some places in the game, which exist in real or existed in the past? A: Of course! Some of them looks really similar or have similar names! For example "Kakita" (Kurita shop in the game) or the "Honey Bee" (Funny Bear in the game). There was also an Arcade store not so long ago. But it does not exist anymore. Also one store that sold fresh fish and looked prety similar to that in the game, was also closed. I kind of regret, that we didn't start to create this guide map much earlier. 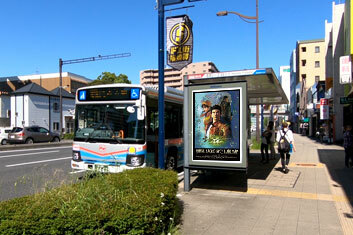 That why I would recomend to fans of Shenmue not to wait to long and come to see Yokosuka. It is true, that lot of things changed since 1986, but there are still places to find in Yokosuka that will remind you of Shenmue. 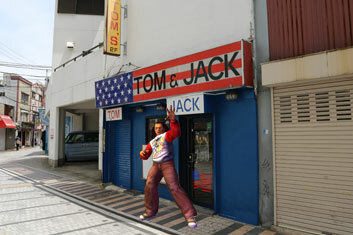 Q: Do you know if the owners of shops from Dobuita street, knew about Shenmue? A: Yes, some of them knew about the game. 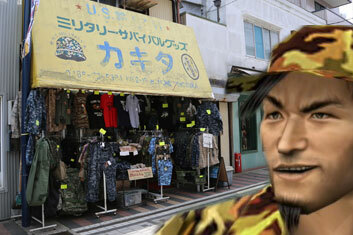 The guy who own this military wear shop at Dobuita street also played Shenmue. 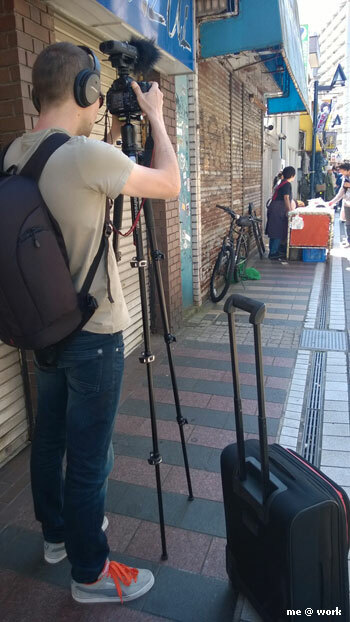 * additional comment to this matter: We also talked to the owners of the flower shop "Hanamatsu" and asked them if they knew about this game. Of course they did not knew, until Furusaki-san made this guide^^. After that, from time to time they see people taking pictures and posing in the front of their shop. "We were wondering why???? But we have absolutely no problem with that! Maybe we should play this game too *laugh*". The guy from the flower shop also told us some funny stories about french visitors. But so many details would go beyond this interview. 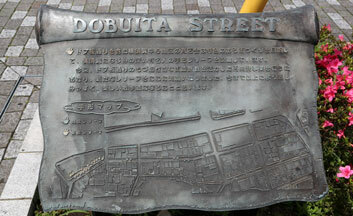 Q: Do you think that Suzuki-san could recreate authentical atmosphere of Yokosuka/Dobuita in the game? A: Yes I think you can feel the spirit of Yokosuka in the game. 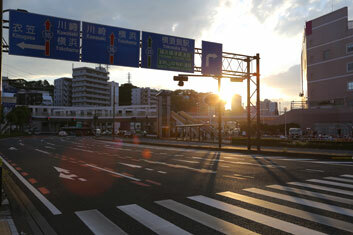 The city is multicultural, there are not only Japanese, but also many foreigners living here (due to the US base). 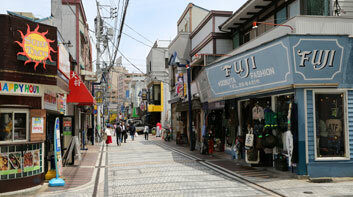 For example you can see sailors walking around and there are many stores that do not sell only Japan related goods. As for me, I could also feel that in the game, the game designer made everything more compact, because many shops are not located across one street. 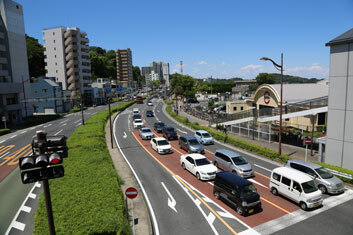 It is more spread out thru Yokosuka. Q: Did Suzuki-san contacted you or made any comment regarding the guide after it release? A: As we worked with SEGA on this project there was no contact with Suzuki-san. Later when the guide was released, I was glad to see his positive comment about the guide on a social media. 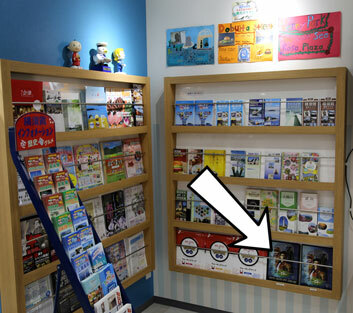 Q: To get the print version of this guide, people have to come to Yokosuka? Or is there another way to get it? A: Yes, at the moment we can only provide this guide map domestically. But we also looking for opportunities to ship this guide overseas. Q: How long does it took to complete this project (from the first idea, to the printed samples)? A: In total it took about one year. In December 2016 I asked my boss if I could start to work on this guide. Then in May 2017 we asked SEGA if it would be possible to get a licence from them. SEGA confirmed and they also did a final check on this guide before it was released. Finaly the guide was released in December 2017 to the public. First in Japanese and later in English. 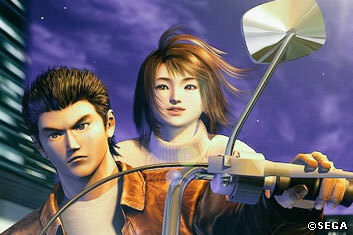 Q: How did you feel when you finished this project and how was the reaction of Shenmue fans? 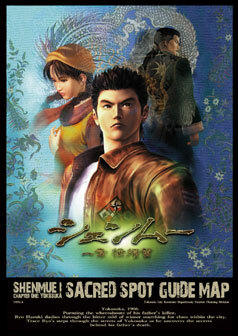 A: The reaction of Shenmue fans was huge, after this guide came out. Not only japanese fans came, but also foreigners. 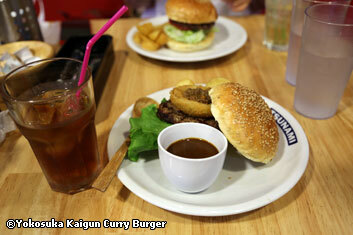 Many foreigners who came to Yokosuka to pic up this guide actualy live in Japan. I think after the Shenmue III alongside the HD remaster of part I&II would be released, our guide would get more attention. 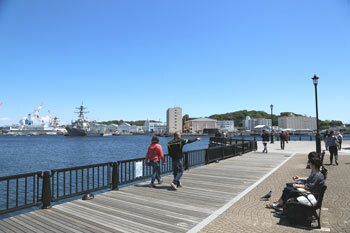 So we are looking forward for more tourists from overseas comming to Japan and visit Yokosuka *laugh*. Furusaki-san, thank you very much for this interview and especially for bringing out this guide map. We are pretty sure it is a nice gift for the Shenmue community. The print version of this guide can be only obtained in Yokosuka at the moment. There are at least two official places where you can pick it up for sure. 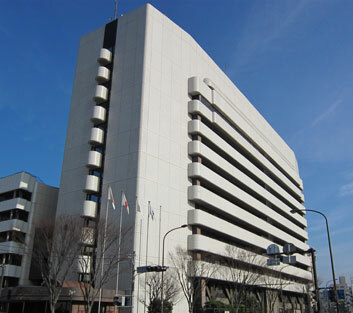 At Yokosuka city hall and at information center in shopping center "The Prime", located near the Yokosuka-chuo station. 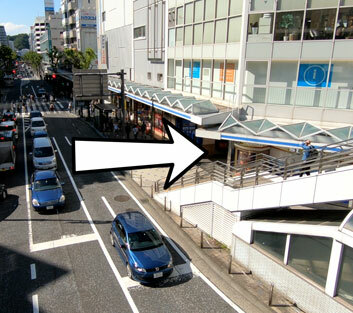 Both places can be reached from Dobuita street by foot.